Reading the titles of the lessons my first thought was, wasn’t that on the schedule already? Is filtering images by e.g. color different to search by image? And Daniel introduced as well the left and right hand panel in the search windows and the time/date range limiting feature. Well, I assume the first three classes were introduction and beginners classes and now we move to advanced and expert level. Well, we will find out. Image you want to identify an old photo from a vacation. You haven’t properly labeled it and you want to find out where you took the photo. Thus, you simply open a new search window, choose the IMAGES tap and simply drag the image, in my case a roller coaster you want to identify into the search box. Search by Image is supported on these browsers: Chrome, Firefox 3.0+, Internet Explorer 8+, and Safari 5.0+. Search by Image is not currently supported on tablet browsers. The search features are the cool tools that help you to find out what the time or the weather is in a certain city. By typing in the flight number you get an up-to-date flight status which is pretty cool. What I found it very valuable that you can type in the name of a medication and you receive a whole bunch of information including what other names are given to this drug. Google search features include weather, time, flight numbers, earthquakes, world capitals, sunrise/sunset times, movies, stock quotes, sports scores, package tracking numbers, medical conditions, and medications. Check out the full list of search features. You can calculate math expressions and conversions from the search box by using the following search query pattern: [number units in units] e.g. 90 F in C (= 32,88 C) or you can convert number of tablespoons into cups. Enter any math equation into the search box, and Google will calculate your answer. Google tells you e.g. that 1 + 1 = 2 or that 10% of 100 = 10. These search features are available on cell phone, iPad, or anywhere Google is available. This feature is pretty handy in case you want to search for web entries published within a certain time frame. That greatly limits the number of search results and allows to find information a lot quicker. Limit results to sources published during a specific time period by clicking on Show Search Tools in the left panel, than selecting the appropriate time range. Time filters are available in Web Search, Books, Images, News, Videos, Blogs, Discussions, and Patents. This feature is not available on tablet browsers. Google greatly improved this helpful translation feature. A while ago the translation was kind of halting and sounded sometimes like that horrible translated manuals you get with an electronic device. But, compliments to Google that is no longer the case. Translate words, sentences, and pages by using translate.google.com. Search in foreign languages using English by clicking “More search tools” on the left panel of your results page, then select “Translated foreign pages”. 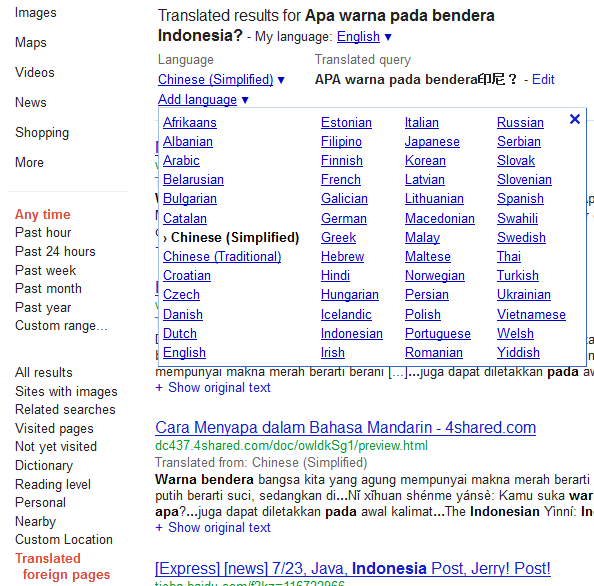 This feature chooses the best language in which to search and delivers results translated back into English. 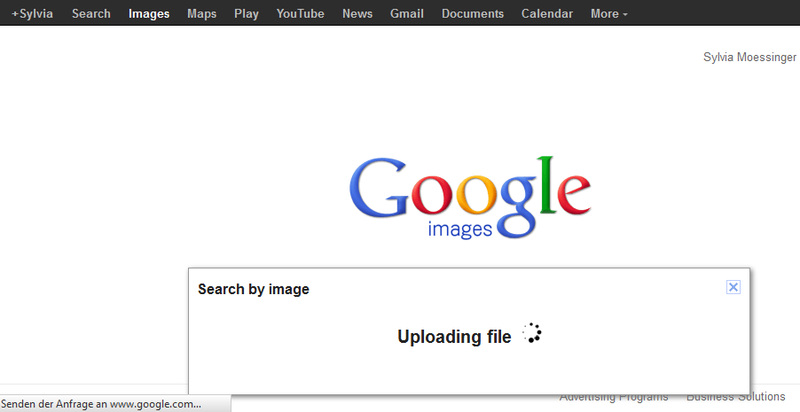 Search by image is a cool feature of searching in Google.